The WiFi at our library is password protected. When visiting the library, ask the librarian for the password. Internet resources available through the Library Computers are provided equally to all Library Users. However, public use of the Internet must be compatible with the Library’s mission and our community’s standards of common decency. Parents are responsible for their minor children’s use of the Library’s resources and facilities. Parents who believe that their minor children cannot responsibly use the Library’s Internet access are requested to monitor their children’s Internet use. Since the Internet is a global electronic network, there is no local control of its content. Lovett Memorial Library does not monitor and has no control over the information accessed through the Internet. The Internet offers access to many valuable local, national, and international sources of information. However, not all sources on the Internet provide accurate, complete, or current information. The Library assumes responsibility only for the information provided on the homepage www.lovettlibrarymclean.org. The Internet, as an information resource, enables the Library to provide information beyond the confines of its own collection. The Library does not censor access to materials, some of which may be offensive to some users. Therefore, access, use, or dissemination of information via the Internet in the Library is the responsibility of the user and the parent or guardian. The Lovett Memorial Library does not serve in place of a parent. The Librarian cannot act in the place of parent or guardian in providing constant, care and supervision of children as they explore the Internet. The responsibility for what minors read or view on the Internet rests with the parent or guardian. The Lovett Memorial Library seeks to protect the First Amendment rights of its customers and their individual rights to privacy. However, Internet users must be sensitive to the fact that workstations are in a public area and, therefore, images on the screen are subject to view by anyone in the library. Privacy for individuals using electronic resources in the Library cannot be protected because of the existing physical conditions in the library. Users are urged to respect the sensibilities of others when accessing information that may be offensive to someone else. The “Internet Procedures and Guidelines” applies to the behavior of individuals using electronic equipment and resources. Failure to follow these guidelines could result in the loss of computer privileges. With a current library card, Internet access computers may be used to access a variety of electronic communication resources including email, chat rooms and games. Although the Library does not provide email accounts to users, Internet access computers may be used to access free email accounts available from a variety of sources. Person or Persons traveling through the community may have access to the public computers at the Library. Internet computers will not be used for illegal activity, to access illegal materials, or to access materials that by local community standards would be objectionable. The library staff is authorized to end an Internet session when material is inappropriate to a public library setting displays on a computer screen. Users are responsible for compliance with all international, national and state laws governing copyrighted materials. Users will not make any attempts to misuse the computers. Misuse of the computer may result in the loss of computer privileges, potential loss of library privileges and possible prosecution. Damages resulting from the misuse are the responsibility of the user or in the case of minors, the parent or guardian. Installation, downloading, or any modification of software or hardware is prohibited. Texas Penal Code, Sections 43.21, 43.22, and 43.24 makes display of obscene material a criminal offense. The Children’s Internet Protection Act Of 2000 makes it mandatory for all schools and libraries who receive federal funds for Internet Access to install filters on all computers. Lovett Memorial Library does not receive federal funds for Internet Access. Therefore, we do not filter or censor computer/internet use. Any user with outstanding fines at any Harrington Consortium Libraries including Lovett Memorial Library will be denied computer access and library services until the fee or fees are paid. The Librarian or Staff has the authority to ask any person or persons to cease any activity that is disturbing to other Patrons or Staff. Failure to comply with request could result in termination of privileges indefinitely. 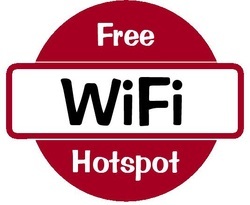 The library offers free wireless (Wi-Fi or hotspot)internet access. Children under the age of 17 who do not have a library card will not have access to WIFI unless they are accompanied by parent or guardian. Users are required to follow the Internet Safety Policy and Internet Procedures and Guidelines while using our wireless access. No Food or Drinks around the computers. Users must not abuse the computer equipment by hitting or banging the keyboard or mouse. Users may use headphones but must maintain the sound level to where they and only they can hear what is being played. Users will not display any outburst that might make Staff and other Patrons uncomfortable. Users must have a basic knowledge of how to use the computer before using one. Library Staff is authorized to end a session when material is inappropriate to a public setting is displayed. Library Staff has the authority to decide what is acceptable or not acceptable in our library setting. Users will end their session and leave the computer when asked to do so for any reason given or not given by Library Staff, even if they have not completed their session. Computer use is on a first come first serve basis. Users are allowed one hour of computer use and up to two hours if there are available computers. By mutual agreement, two persons may share one access session as long as their behavior or conversation does not disturb other users or Library staff.